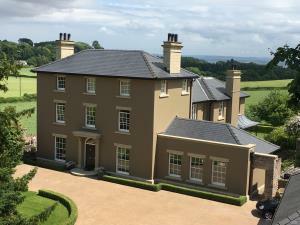 A beautifully restored Georgian property set in 6 acres of Gardens & grounds minutes away from the historic town of Chepstow with its 11th Century Castle, nearby Tintern Abbey. Adjacent to the Offers Dyke path 'Stoulgrove' is ideally placed for exploring the stunning countryside of the Wye Valley & Forest of Dean. Awarded 9/10 across all categories in review by Telegraph. Children welcome from age 8.